It is officially birthday party season over here. So many of Gia’s little friends have birthdays in the next 2 months. In the next 2 weeks we have 6 parties alone! Gia is, of course, thrilled. She loves everything about birthday parties. From the activities to the pizza and cake, my girl is all in. Attending all these parties also means she’s also constantly talking about her own birthday and her birthday party. Her birthday is still 4 months away, and we’ve already started planning. But by the time Gia’s birthday is here, it’s hard to be original. Bouncy place parties, painting parties, Chuck E Cheese parties…its all been done before. Each year I struggle to come up with something new–so we have to get creative. Luckily for me, my almost-five-year-old is pretty opinionated. Gia knows what she likes and what she wants, and that makes the planning easier. So this year I involved her in every step. Once we narrowed down the kind of party she wanted, we moved on to invitations. Minted is an online marketplace where artists from all over the world submit their designs to be sold as art, home décor, and stationery, directly to consumers. They recently launched a new collection of kids birthday party invitations that we couldn’t wait to check out. Gia and I had so much fun sitting by my computer looking at all the beautiful invitations she could choose for her party. Gia was so excited that I truly gave her all the power and let her choose whatever invitations she wanted. Usually I reserve the right to veto any ‘interesting’ choices. But this time I had complete confidence when I handed over the control. Every invitation is beautiful, unique and tasteful. I was totally comfortable letting Gia have the final say because she really couldn’t go wrong with any choice. Gia had a hard time picking just one invitation, so we favorited a few and went back a few days later to look at them all again. You’ll have to stay tuned to see what she picked! In the meantime, head over to Minted and take a look around. They also have so many creative, high quality paper products like business cards, planners and cards and invitations for every occasion. Also, don’t miss the home decor items: art prints you can frame, fabrics you can use to make pillows and curtains, and the most beautifully unique photo gifts. 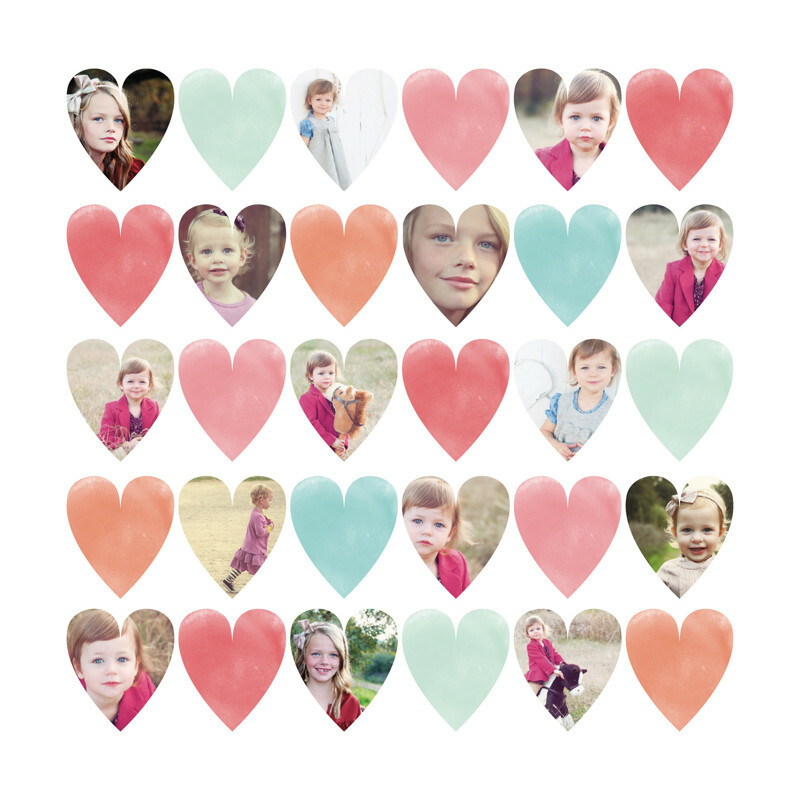 I can’t wait to order this Watercolor Heart Print with pictures of Gia and Nicholas. If you’re looking for a truly original gift for a wedding, bridal shower or baby shower, check out Minted. With a few simple clicks yo can create something truly one-of-a kind that the recipient will treasure forever. In the comments tell me what you’d like to order from Minted! Disclaimer: I received Minted store credit service to review their site and products. I was not compensated for this post. All opinions are 100% my own. I love minted! I got our holiday card from them, and it was great!!!! I love that heart picture with the kids in it! I took a look at their site, they’ve got some great party decorations. What adorable invitations! I am going to check minted out right now. I really need some new wall art in my home! Those are adorable ideas. I going to have to check them out..
Ohh, this looks so cool! I hadn’t heard of it before.